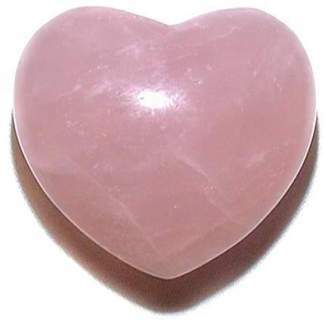 45mm Rose Quartz Heart $9.95 - Free US ship & giftwrap w/$50 order. Give your heart to someone you Love! Enjoy the beauty and gentleness of rose quartz. Called the Lover's Stone, it can be used to radiate the soothing love energies in your home or office. Beautifully polished 45mm or 1 3/4" puffy heart shaped gem stone. Rose Quartz is known as the "Stone of Gentle Love"
"It can be used for spiritual attunement to the energy of love"
"The energy is soft and silky, producing a gentleness from within and without the wearer"